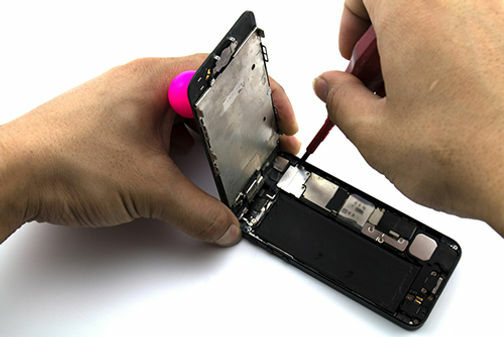 iPhone Screen Repair San Diego │ DIY or Professional Fix? It’s unanimous; iPhone users would rather give up almost anything before they would sacrifice their phones. That’s why knowing your options for iPhone screen repair in San Diego is such vital information before the unthinkable happens. Let’s face it; although you think of your phone as an extension of your arm, it’s big and kind of awkward to hang onto. Even older model phones are difficult to grip, especially in smaller hands. Since older models are even easier to break, making the decision to fix your own screen or have it done professionally is even more likely to come up. First of all, some people aren’t willing to take the time to get their iPhone screen repaired. Period. As long as it is still (somewhat) functional, they keep right on using it. A lot of this goes back to the separation anxiety that people feel when they think they might have to put down their phone and walk away, even temporarily. Of course, this option is only open to you if the screen isn’t broken badly enough to interfere with your use. Since you need to swipe the screen to use the functions, a break in just one area can prevent your phone from functioning. It could also cause bloody, cut fingers when you swipe an area with a piece of missing glass. Using the phone with a cracked screen is an option, but not a good one. Once you rule out using your phone in spite of the damage, you have three options left. The biggest problem with buying a new phone is obvious. Even the older models are expensive and your damaged phone may still be reasonably new. If the phone doesn’t have damage other than the screen, then there’s really no reason to replace what isn’t broken. On the other hand, if you have been looking for a good excuse to trade your existing phone in on the new iPhone8, this is it. It really comes down to whether you are willing and able to pay the price for replacement. Another option is to purchase a new refurbished iPhone. This choice allows you to upgrade to a better phone without the expense of a new one. 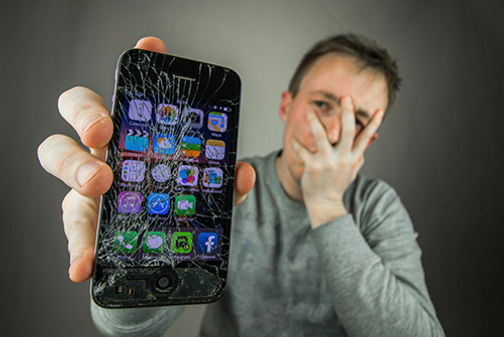 Like replacing your iPhone, the choice of repairing your screen yourself comes down to cost. You can purchase repair kits online, but your success comes down to two factors: Your level of skill working with technology and knowing what to order. Let’s start with ordering an iPhone repair kit. First of all, you have to get the right kit for the exact style of phone you have. For example, those made to fit 3G and 3Gs aren’t the same. If you order the wrong kit, you’re going to have to do without your phone even longer to get your phone fixed. What’s worse is that you probably won’t know it’s the wrong kit until you take your phone apart and find out that the parts don’t fit. Second, kits are available for a variety of prices. One reason for the discrepancy is the number of parts included. That means if you don’t know what you’re doing, you won’t know which kit to order. You can either order a cheaper one and hope it includes everything you need or order a more expensive one and potentially pay more for something you don’t need. This “err on the side of prevention” strategy could end up costing you nearly as much as professional iPhone screen repair in San Diego without guaranteed results! Some kits only include what you need to repair only minor damage like scratches. Make sure you don’t order a kit because of its low price without finding out exactly what damage it repairs. Another scenario that do-it-yourselfers don’t always consider is that an iPhone screen replacement might not be enough. Whatever caused the damage to the screen could potentially have done more damage to other parts. Imagine investing your time and money in the repair job only to discover that the phone doesn’t turn on after replacing the screen. Of course, there’s also the possibility that you didn’t repair the screen correctly. The reason that replacing an iPhone screen is so complex is that it is more than just a panel of glass. The iPhone screen consists of three ultra-thin layers, not a single layer of glass like most people imagine. The glass panel on top sits on top of a digitizer which is attached to the front panel. An LCD sits behind those layers. When you order a replacement screen, the glass panel and digitizer come as a single piece. The LCD is a separate part that isn’t included. If your LCD isn’t working, replacing the screen won’t fix your problem. This is one example of additional damage dropping your phone and breaking the screen can cause. The LCD is a vital part of your iPhone. It’s also one of the most sensitive parts and highly vulnerable to damage from all types of accidents. The liquid crystal display (LCD) is two layers of polarized panels with a liquid crystal solution in-between. When the LCD breaks, the liquid leaks out. The only option when this happens is for professional iPhone screen repair in San Diego. Even if the LCD wasn’t damaged at the same time you broke the screen, you could easily damage it while trying to replace the screen yourself. You have to work with small parts in a small work space. The vulnerability of the LCD makes it a common target of accidental damage. The first thing most iPhone owners think of when they hear “professional iPhone screen repair” is to take their phone to the Apple store. After all, the company that made the phone knows everything there is to know about fixing them. This isn’t necessarily the best or the most affordable option for you. You have a fairly new iPhone and you paid a lot for it. It’s still under warranty. Apple will pay the cost of repair, right? Wrong! Apple clearly states that “Issues caused by accidental damage aren’t covered under the Apple Limited Warranty.” What’s more, AppleCare+ only covers two incidents of accidental damage coverage and you pay a service fee for each of those. The warranty only extends to problems that originate from the parts or manufacturing of the phone. If you drop it, you’re on your own. The sad fact is that many phone owners think that their only two options include replacing the screen themselves or taking it to their local Apple Store. For those who aren’t willing to tackle a DIY screen repair, the alternative often means waiting a long time to get their phone back. People break their iPhone screens a lot. Many people have broken their screen multiple times! The problem has caused long lines and waiting times for the growing number of people turning to Apple to fix the problem. The problem of long waits on iPhone repairs hasn’t escaped Apple. After many complaints, the company stopped invalidating phone warranties when owners took their phones to third-party repair services. That gives you more options for having your iPhone repaired without putting your warranty at risk. The fastest way to get your screen repaired and back in your hands is to find a local business to fix your phone. That doesn’t mean you should entrust the job to any business that advertises their ability to do it. 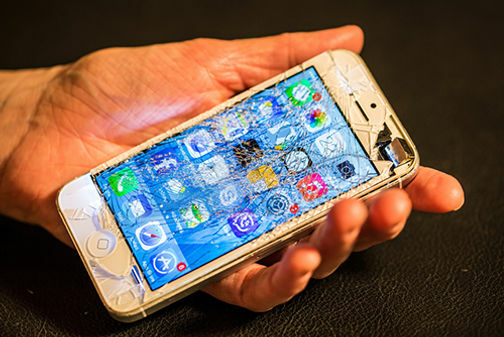 Take the time to find iPhone screen repair in San Diego that you can trust. You don’t want to put the fate of your iPhone into the hands of someone who doesn’t have the skills to do the repair right. Take the time to find the right store to deliver the best results. Not everyone has the newest iPhone or plans to own one any time soon. If you like your older model iPhone and want to save it from a cracked screen, look for a service that repairs a variety of phone models. If a business encourages you to give up on your broken phone, you don’t have the wrong phone. They are the wrong business! The simplest way to get fast, convenient service is to keep it close to home. It’s a lot simpler to drop-off and pick-up your phone when it doesn’t involve a five-hour drive in each direction. It also makes it easier to research the business and find out what kind of service they offer. Time is of the essence when your iPhone isn’t working. You don’t want a phone fixing service that only comes into the office two days a week. The more flexible their hours are, the sooner you can count on getting your phone. Just to make sure, ask them how long you can expect to wait when you take your phone in. Even if they can’t give you an exact time, they should be able to get close. When every hour without your phone matters, so does getting fast service. Otherwise, you may find yourself waiting for weeks. Thanks to the change in Apple’s policies, you don’t have to go to an Apple Store to get your cracked screen repaired. That doesn’t mean you shouldn’t find a specialist who understands how the different Apple products work and how to fix them. Sticking up a sign that says “iPhone Repairs” doesn’t make someone a specialist or an expert. Look for a repair shop that specializes in Apple products. If they’ve got a lot of similar repairs under their belt, they know what to do with your phone. New policies, growing demands, and the opportunity to start a lucrative business have led to the addition of lots of iPhone repair shops. It’s difficult to know just how many iPhones a business has fixed during their one-year in business. A surer bet is with a business that has four, five, six years or longer doing iPhone repairs for hundreds of iPhone users. 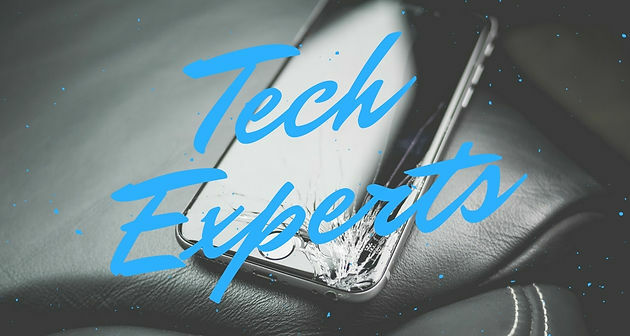 Any repair to technology requires expertise, knowledge, and a lot of practice. The typical iPhone user is not very forgiving when it comes to receiving less-than-adequate repair service. Check out the reviews that other customers have posted on their website and with local business reviews. You don’t just want to get your phone fixed fast; you want it fixed right! Reputation is important when it comes to fixing iPhones. The people who sell repair kits make it sound easy. People who have tried to fix their phones know just how complex it really is. Reviews are great for finding out how qualified a business is to fix your phone. Your goal for having your iPhone screen repaired is to get dependable service and fast service. San Diego Tech Experts has everything that you need in iPhone screen repair in San Diego. We understand how important your phone is to you. We are passionate about fixing a variety of phones and have the 5-star reviews to prove the quality of our service. Contact us to learn more about our iPhone repair services. We are standing by seven days a week and walk-ins are always welcome. We specialize in Apple products and we can fix your phone no matter what’s wrong with it.